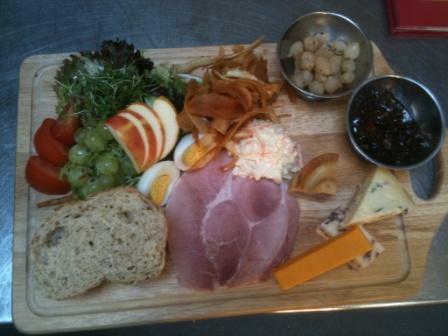 Really impressed with this Ploughman’s Lunch served at The Buck Inn, Malham here in the Yorkshire Dales, even includes homemade vegetable crisps and sometimes with a Scotch Egg or Pork Pie or even both! This entry was posted in Food, Pies, Yorkshire Dales Food and tagged buck inn, lunch, malham, ploughmans. Bookmark the permalink. Is this yet another recent sign of the growing quality of pub food in the Yorkshire dales?